Located in the Chanin Building on Forty-Second Street and Lexington is a team of Discovery Litigation Services experts standing by to provide you with the best-qualified New York court reporter for your deposition. We can provide you with a court reporter anywhere in New York. We will make it easy to hire the best New York court reporter for your deposition. Discovery Litigation Services streaming enabled court reporter services provides the tool in obtaining a highly qualified court reporter anywhere in New York. Let us provide you the most qualified court reporter and the most comprehensive litigation solutions to satisfy your demands. We staff highly experienced court reporters versed in various case sizes. Discovery Litigation Services is founded on the principle of client services by an established court reporter with experience spanning 20+ years. We understand how big of an asset the court reporter can be to your deposition. We work relentlessly to provide you with the perfect solutions to all of your litigation needs. Through our journey to place the most comprehensive litigation services at your fingertips, we have radically simplified the process for all of our clients. 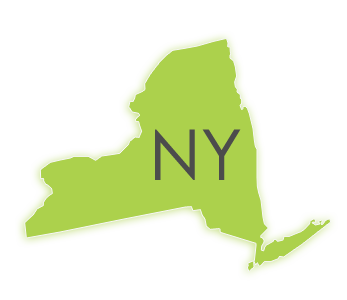 With Discovery Litigation Services you can book a New York court reporter at any deposition in any county throughout the state with only a few clicks. With our court reporting and full-service deposition solutions, you can be sure we have all of the bases covered. With a host of full-service litigation solutions, we can fully cover any deposition anywhere. There is no location unreachable for Discovery Litigation Services. We pride ourselves on providing you with the highest quality services, and the expertise of skilled professionals in every city across the United States. A trial is not the only way to resolve legal disputes. You can save time, money, and business relationships by utilizing Discovery’s alternative dispute resolution services such as mediations and arbitrations. We’ll help you avoid the high costs of going to trial with our Alternative Dispute Resolutions. The discovery process can eat away at your bottom line, not to mention the cost of a lengthy litigation. Spend less time coming to a resolution through a quick, confidential process that won’t end up as public record. Discovery Litigation Solutions offers highly qualified neutrals knowledgeable of the area of law in question. Through an Alternative Dispute Resolution solution, you can avoid leaving a crucial verdict up to a potentially uninformed jury or judge. Arbitrations and Mediations have the benefit of preserving the working relationship of the two parties in dispute through cooperative negotiations. Let Discovery Litigation Services ease your burden in an accessible, non-combative manner. Discovery Litigation Services’ mediators and arbiters will come to a speedy, more peaceful resolution. Save Money by reaching a swift decision. If controlling the costs of litigation is a key requirement, then look to our skilled neutrals to use their expertise and knowledge to find a resolution to any litigation. Our experts are versed in the complexities and varied personalities of Mediations, Arbitrations, and Settlement Conferences and are standing by to bring resolution to your case. Discovery Litigation Services offers solutions for Court Reporting in Every Part Of New York- Videography - Dispute Resolution - Mediation - Arbitration - Interpretation - And More. Schedule Your Deposition in Any State Throughout The U.S.